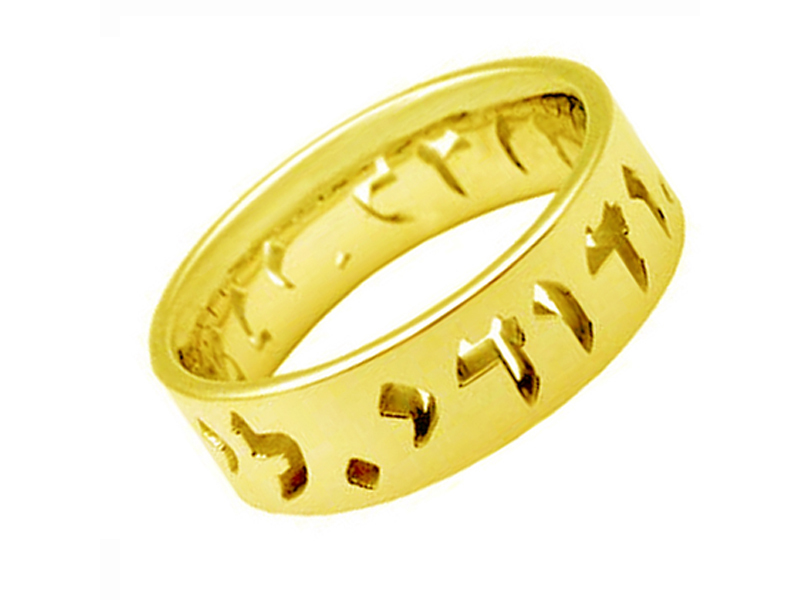 This 14k gold wedding band is beautiful and symbolic. ‘Ani l’dodi v’dodi li’ meaning ‘I am to my beloved and my beloved is mine,’ are cut out. Wedding ring is suitable for both bride and groom. It is available in both yellow and white gold.